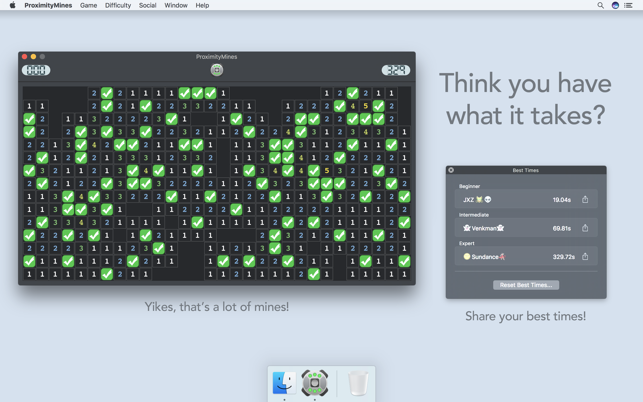 A modern remake of the classic puzzle game! • Beginner-level games free to all players! 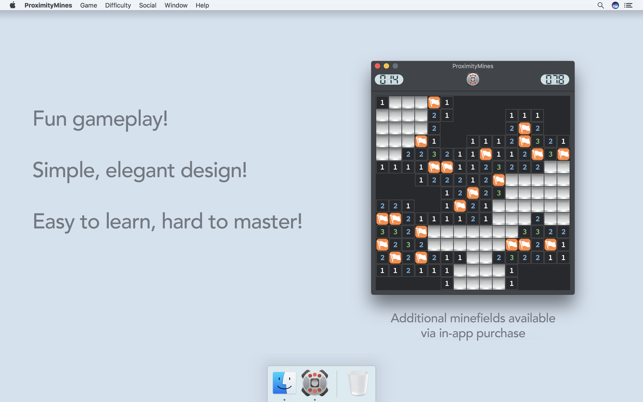 • More challenging and even custom minefields available with one-time in-app purchase. • Sharing! Share your best times (or worst defeat!) with friends. 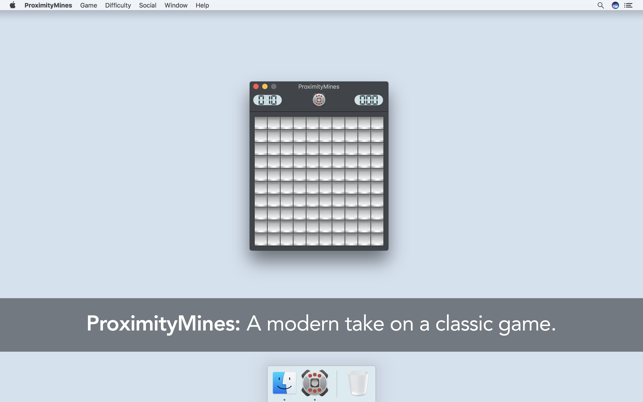 • ProximityMines is lovingly hand-crafted for macOS, featuring high resolution graphics, TouchBar integration, support for Multi-Touch trackpads, VoiceOver support, and much more.